Welcome to the sixth entry in our continuing Celebrating a Series weekly feature! Here, we let our imaginations run wild and free, trying to concoct possible directions that any inevitable sequels might take in some of PlayStation’s most beloved franchises. This week, we’ll take a look at God of War. 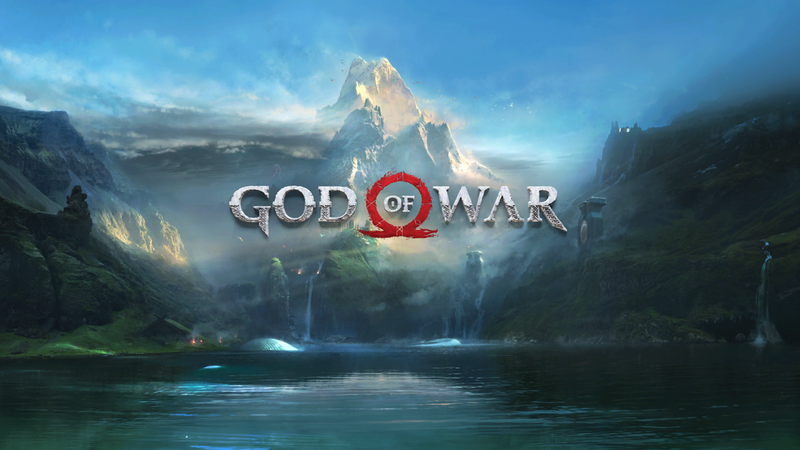 Kratos, the Greek demigod antihero, somehow found himself plopped into the lands of ancient Norway, attempting to create a normal life for himself and his family. That’s a plotline that series creator David Jaffe would’ve had a hard time believing if you told him it ten years ago, yet it worked perfectly. Would a sequel take us in an even more unexpected direction or follow along the path so carefully laid before us in 2018’s God of War? Let’s have some fun, shall we? Before we go any further, here is a warning: there are spoilers ahead! In order to contemplate the future, we had to consider the entirety of God of War. If you didn’t play our 2018 GOTY winner, then first of all what are you waiting for?! Secondly, a huge plot point is discussed when talking about weapons, as well as the ending and its implications for any sequels. You have been warned! If there’s one thing the ancient gods in Roman, Greek, and Norse myths were good at, it was killing each other repeatedly. This theme comes up in God of War, as Kratos is eventually forced to face his past and reveal to his son Atreus that not only are the two of them gods, but that Kratos killed his own father in his quest for revenge so many years ago. Towards the end of the game, Kratos chooses to kill Baldur as he is strangling his mother, Freya, The Witch of the Woods. Kratos’ logic is that he can stop the endless cycle of gods killing their parents by preventing the death of Freya by her own son. Naturally, this action ends up enraging Freya, who swears “every agony, every violation imaginable” upon Kratos. Mimir attempts to justify Kratos’ actions, saying that Freya will eventually see that what he did was right. But considering the fact that Freya used to be the Queen of the Valkyries, there may be a way that she can attempt to enact her revenge. At the end of God of War, Kratos and Atreus’ entire adventure is revealed to have already been painted on a mural in Jötunheim, with an ominous panel which appears to show the demise of Kratos. Could Kratos die in the next game and Atreus take his place? Kratos has been outright killed in previous games, whereby he was sent to the underworld (Hades, in the case of the previous-generation games). The same thing could happen here, as Norse mythology features Valhalla as a place for deceased warriors to go if they are slain in battle. Death could just be the start of an adventure for Kratos. 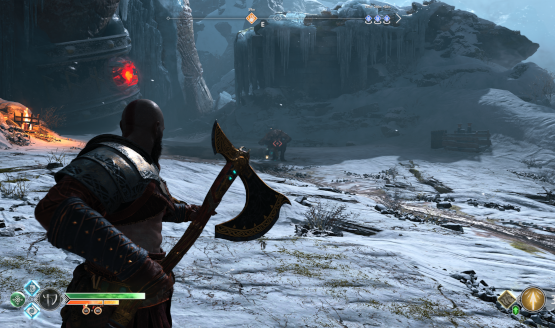 God of War featured two incredibly honed weapons in the Leviathan Axe and Blades of Chaos, the latter of which was expertly hidden from players until the game actually launched. Some people may have been wary of using new weapons, but the Leviathan Axe proved its worth by being a heavy-hitting, throwable weapon that was easy to chain with Kratos’ formidable fists. (His shield would even get in an occasional hit or two as well!) Meanwhile, Kratos’ iconic Blades of Chaos felt fantastic to wield, and their epic use at a very dark time in Kratos’ Nordic journey was equal parts enthralling and terrifying. Considering all of this, what new weapon would the Commander of Boy use in God of War 2? It might be fun to have Kratos gear up with a weapon from Norse mythology. Gungnir is an obvious choice, as it is the spear of Odin, otherwise known as the ruler of the Norse gods. However, this may be an overpowered weapon, as it is described as a spear that always hits its intended target, and those hits are always fatal. Followed to the letter, this would make for a game that is far too easy. Thus, if this weapon is used, maybe it will be modified. 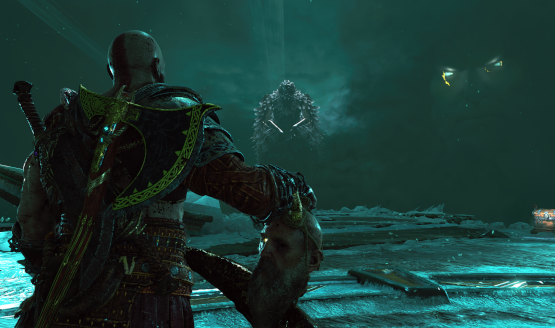 Kratos could obtain the weapon after killing Odin, but since he is not its original master it is no longer bound to be a one-shot guaranteed kill when used. Spears were also used by the ancient Greeks – specifically, the hoplites, or heavy infantry. Being a god, Kratos can use whatever he wants, but still, this goes right in line with Kratos’ lineage. Mjölnir is a name most everyone knows these days, thanks to those Avengers movies. It’s the hammer of Thor, god of thunder. While Marvel’s universe dictates that only a chosen few may wield the weapon, there does not appear to be any such restriction in Norse mythology, as it was stolen by a giant. Though really, Kratos seems to exist to upset pre-existing lore, so of course he can wield such a weapon. He just needs to kill Thor first, that’s all. Aside from Gungnir the epic spear, there are a few legendary Norse swords, including Dainsleif, which requires a kill any time it is unsheathed, and Skofnung, which causes wounds which never heal. But Kratos doesn’t really use swords in his fights, so this would be something to get used to. Alternatively, there is also the ribbon Gleipnir, which is made from impossible materials and thus unbreakable. Could you imagine Kratos whipping others to death? 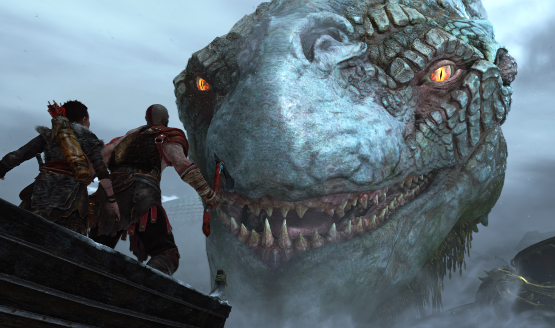 It’s unlikely that God of War 2 will take place anywhere but ancient Norway, as 2018’s release set the stage for a lengthy series of games in this fascinating mythos. As you may recall, the realms of Svartalfheim, Asgard and Vanaheim remain permanently locked out by none other than Odin. If anyone could negotiate with a god or force his way around a locked out realm, it would have to be Kratos. Svartalfheim is the realm of the dwarves, which could be depicted as massive, sprawling cities hidden amongst forests, teeming with bustling commerce and enchanted items. Asgard is the home and fortress of the Aesir tribe of gods, while Vanaheim is the home of the Vanir tribe of gods, as well as the Yggdrasil world tree. Two areas with such importance in a mythology couldn’t possibly be relegated to a few side quests or DLC. Hence, these realms may play pivotal roles in any future adventures of Kratos and Atreus. An area easily overlooked in God of War is in the water. While Midgard contained the Lake of Nine, which featured some exploring, no combat took place. God of War II on the PlayStation 2 featured combat on ships, though they were docked or otherwise stationary in the ocean. So maybe some combat in a vast sea could take place in this theoretical sequel. It would be difficult to pull off, but the development team at Sony’s Santa Monica Studio has performed some Herculean feats before. An Online World, or Playable Atreus? Could the next God of War feature multiplayer? Given the lukewarm reception received in God of War: Ascension, maybe online leaderboards would be as far as online functionality would be taken in God of War 2. Multiplayer just doesn’t feel right for some game franchises, and God of War is most definitely one of them. In God of War, Atreus stands in as a support character, who becomes quite adept with a bow and arrow. His weapon choices were fairly limited, but that was because the focus of combat was mostly on Kratos, and with good reason. So, perhaps playing as Atreus for an entire game wouldn’t appeal to many. But maybe certain quests might see the player taking control of Atreus for short periods of time. This is assuming God of War 2 takes place shortly after the events of 2018’s epic. If God of War 2 takes place a few years after God of War, however, then Atreus will be a young adult. If his father’s genes are anything to go by, he will have bulked up, and become an accomplished fighter in his own right. Then, things will get interesting. His experience with ranged weapons could open gameplay up to some interesting options. While there’s not much in the way of Norse ranged weapons, perhaps Atreus would be the one gifted with swordplay. He wouldn’t necessarily require a shield, what with his lineage of a Greek demigod for a father and Norse giant as a mother, but it would complete the look. Or, he could always use the shield as an impromptu weapon as Kratos does. Something tells us his gameplay would be faster-paced than his father’s, at the very least. Where will the next God of War take us? It’s anyone’s guess, really. One thing is all but guaranteed: Kratos and Atreus will return. The location is likely to remain ancient Norway, and the story can be assumed to involve some royally pissed off Viking gods. But beyond that, nothing is known. That’s part of the excitement, naturally, and we hope you enjoyed indulging our imagination of what could be seen in the inevitable sequel.